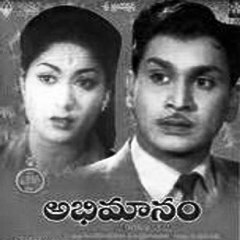 Abhimanam: The film has the good music and some great acting from Savitri and Krishnakumari. 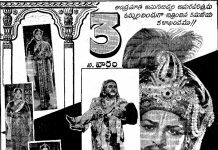 S.Varalaxmi role was exact opposite to the role of Savitri. She was shown the as the traditional housewife. Though she sings her own song her name does not appear in the credits as a singer. I think this is the only film she acted opposite to Relangi. 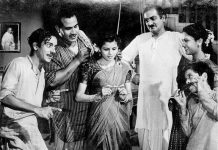 The film was released by Rajashri productions in 1960. 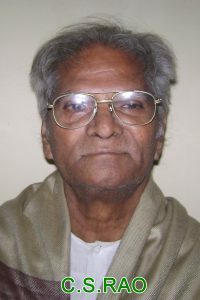 Chittajallu Srinivasa Rao better known as C. S. Rao (b: 1924 – d: 2004) is a South Indian actor, writer and director. 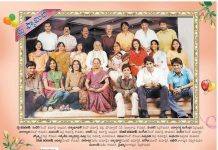 He is son of famous film director Chittajallu Pullayya. 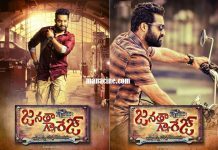 He has directed about 70 films in Telugu, Tamil, Malayalam and Oriya languages. 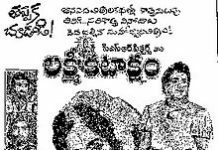 He is best known as the director of the Magnum Opus film of Telugu cinema Lava Kusha (1963). 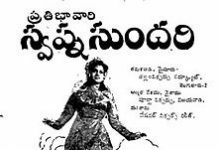 A poor lady’s son Venu (ANR) loves a rich doctor’s (nagayya) daughter Radha(Savitri). They marry against the wishes of her father. Radha who comes from a rich family unable to adjust to the reality. 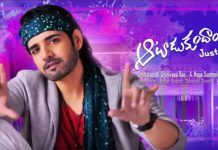 Venu gets a job as a bank manager and shifts to the town leaving the mother and sister in the village. Radha started spending more then the Venu earnings and make sure that he does not get the letters of his mother. 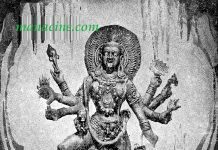 Unable to repay the debts Venu’s mother leaves the house to the debtors and lands in the house of Venu. But Radha’s behavior makes her and Kamala (venu’s sister) to leave the house of Venu. How Radha realizes her mistakes and how venu finds his mother and sister is the rest of the story.